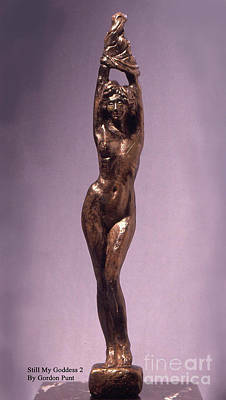 STILL MY GODDESS... By Gordon Punt... 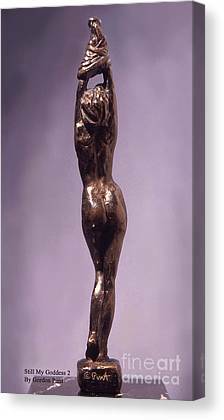 I was inspired to create this sculpture depicting a one-breasted woman because of the women in my life who were effected by breast cancer. 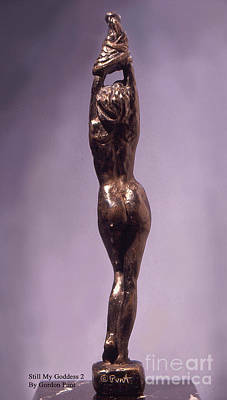 The Goddess is made of solid pewter and the patina is made to look like bronze. 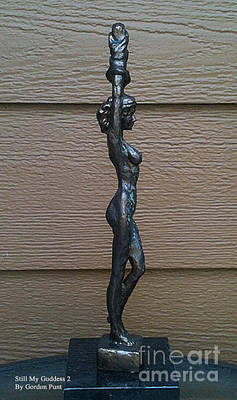 She is 9.25 inches tall, and is bolted and glued to a marble base - 3x3x1.5 inches. There is no limited edition as I hope to offer her to a great many people, but they are numbered, starting with #1. My mother had one breast removed at an early age, then a lumpectomy many years later on the other one. My wife also had one breast removed many years ago and just had a lumpectomy along with undergoing chemo therapy and radiation. I will be putting up more Breast Cancer Sculptures, including one of a man, showing the worry and grief men go through when they stay with and support their women during the cancer process. I want "Still My Goddess" to show that a woman can still be pretty and sexual despite only having one, or even no breasts.